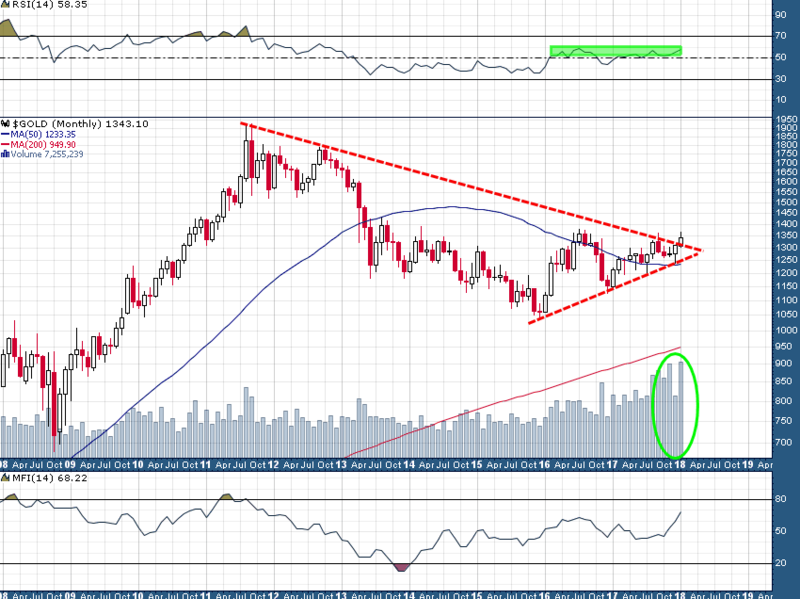 Gold Finishes January With Bullish Monthly Close | Energy and Gold Ltd.
Price and volume action during January are characteristic of strong accumulation, meanwhile Relative Strength on the monthly time frame is on the verge of breaking out to multi-year highs. The Money Flow Index (MFI) on the monthly time frame is also breaking out to its highest levels since 2012 and growing stronger. Momentum is building and considering the importance of resistance levels just overhead ($1360-$1400) there is substantial potential for a violent upside move over the coming weeks; there are probably quite a few buy-to-cover stops placed just above the recent high at $1365.40, the triggering of these buy stops could add a considerable amount of juice to any upside move.